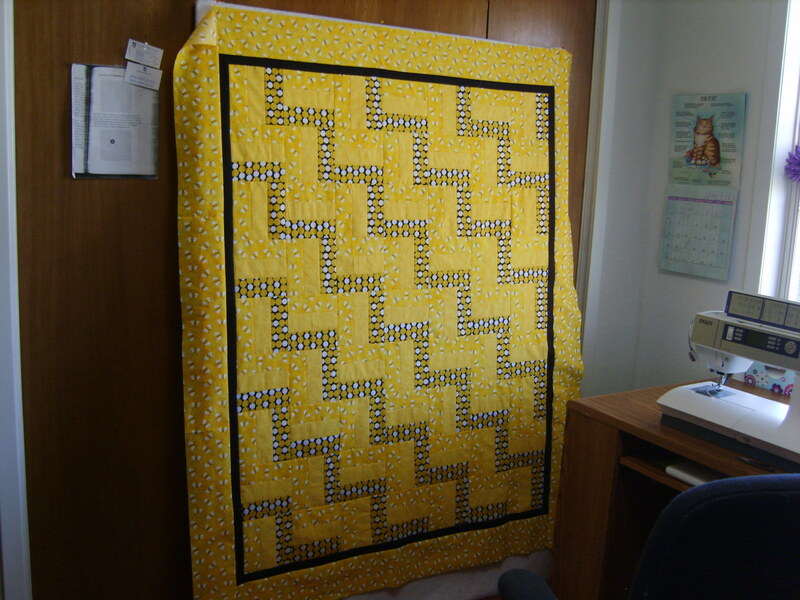 About two weeks ago, I asked for advice about showing four quilts at our guild meeting during Show and Tell. I was concerned that I would be "hogging the floor." Many of you encouraged me to show them, saying Show and Tell was your favorite part. Well, our guild meeting was last night and I did show all four. I was quick and didn't take more than my share of time, but I felt really good about it. Thanks so much for encouraging me. 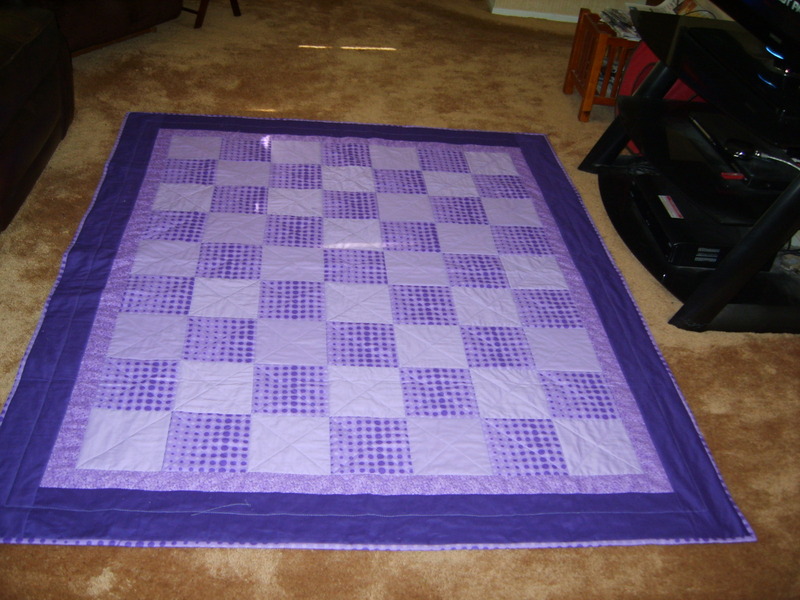 All four quilts were new ones I had made and three will be heading to victims of tornadoes in Oklahoma. glad you made a good impression and it went well for you! How about showing us them too----PLEASE. That a girl!!! High Five!!! They are all beautiful, but I love love love the third one down. Would you mind sharing the name of the pattern? Thanks! All of your quilts are awesome. Great job!!!! Love them all. great job. so glad you shared the at your meeting and with us. I love them too. I agree with the Kitty, that is my favorite, would love the pattern. And the yellow, the colors are awesome with that pattern! 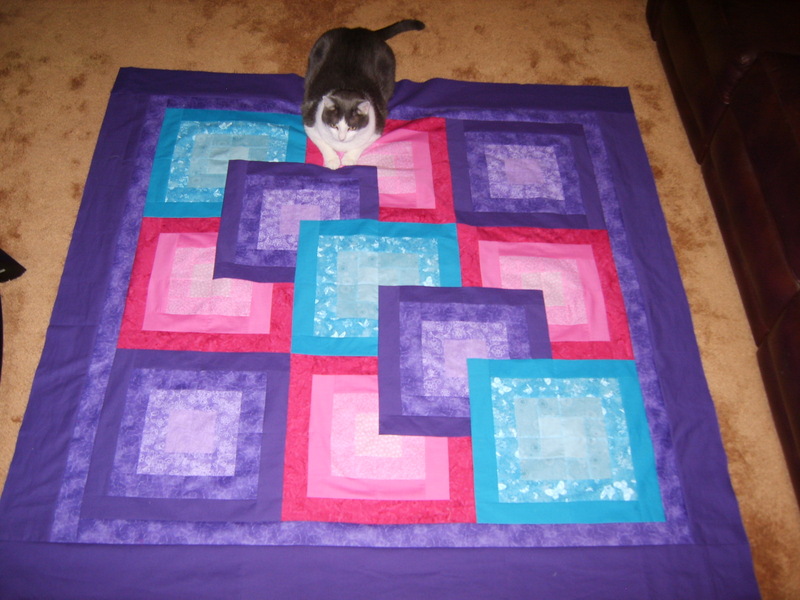 The quilts are pretty but the inspector is puurrfectly adorable. I love them all, but I agree with Kitty that is my favorite and I would love the pattern also. The yellow is awesome with those colors. Wow all are great! Kitty is too! I got it online. Let me add it here. Part of the instructions are missing, but I was able to figure it out. I am a semi-advanced beginner, and if anyone can figure it out, I can. The yellow and black one is a rail fence. Okay, I looked harder and the pattern is called First Light Log Cabin. I added the borders, as it is shown without any. They are beautiful, and I love, love, that last one. If I belonged to a quild, I know the show and tell would be my favorite part. When I have not been on this forum for a while, I can't wait to head to the picture section to see what everyone has been doing. Your color variegation on the thrid quilt was excellent. 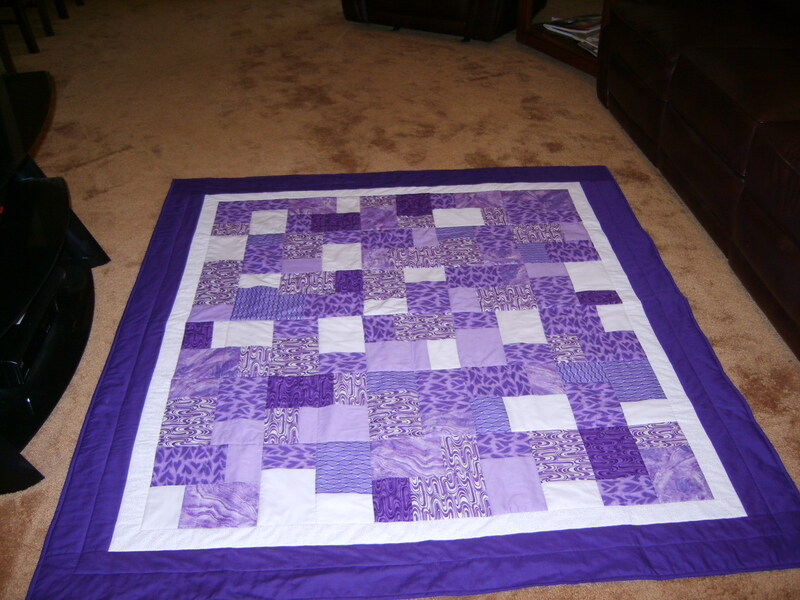 I have two quilts I am also sending to OK. I need to get the larger of the medium size priority box and the mailman left the skinny one. Both quilts won't fit in THAT ONE!! Every one has its own beautiful personality (quiltality??) You did wonderful work on all of them. They are all beautiful. I especially like the yellow one. Thank you all for the nice comments on my quilts.